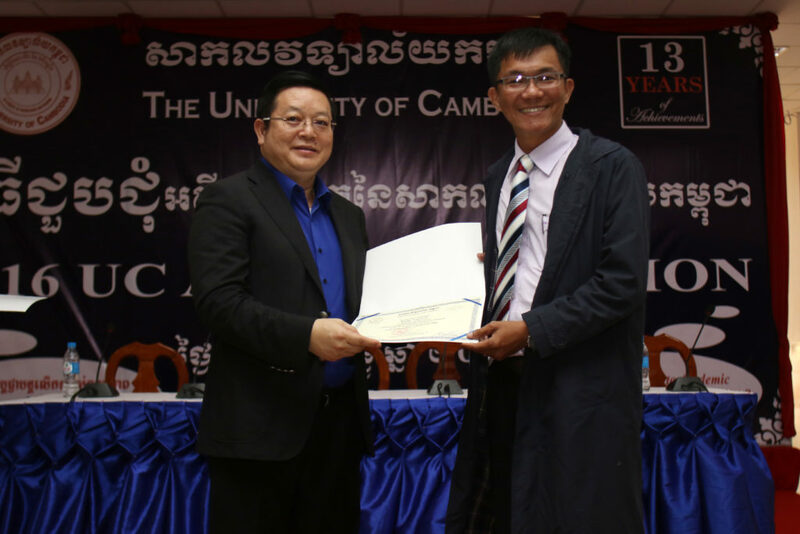 Tong Soprach received the Outstanding Graduate Alumnus Award from UC, 24 December 2016. 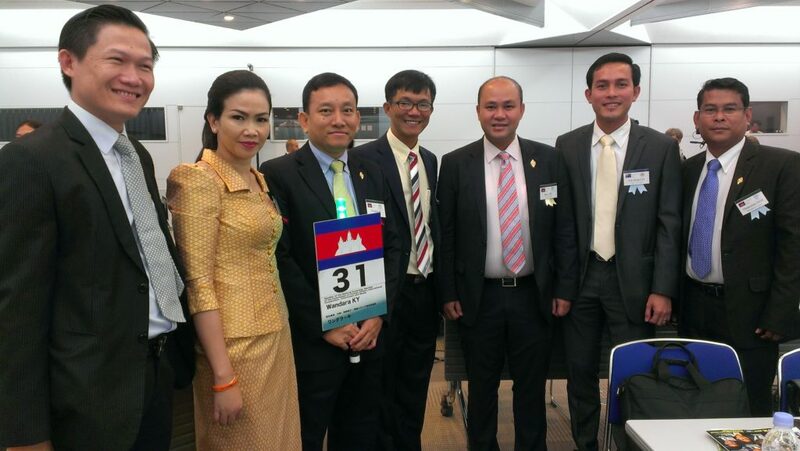 Mr Tong Soprach, was born on 06 January 1976 (during Khmer Rouge regime 1975-79) in Kampong Thom province of Cambodia. 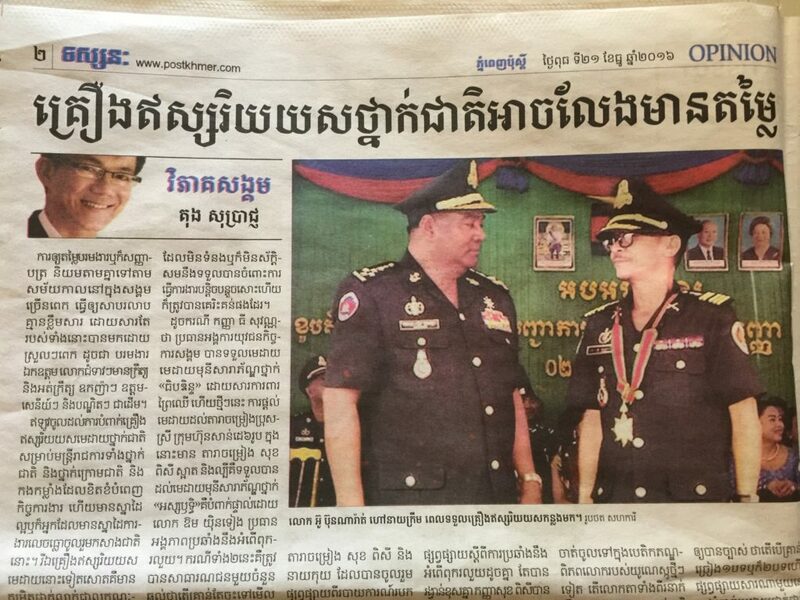 He finished primary school in 1986 at Wat Preah Puth primary school, Phnom Penh and Bac II in 1992 at Bak Touk high school, Phnom Penh. 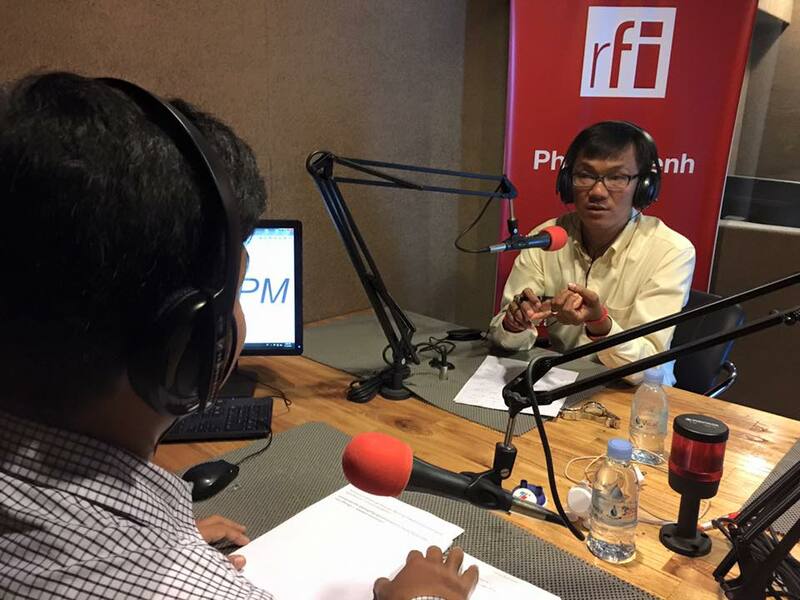 In 1997, Soprach received the bachelor degree in Chemistry at Royal University of Phnom Penh and he also gained the diploma in Demography from UNFPA/RUPP in 1998. 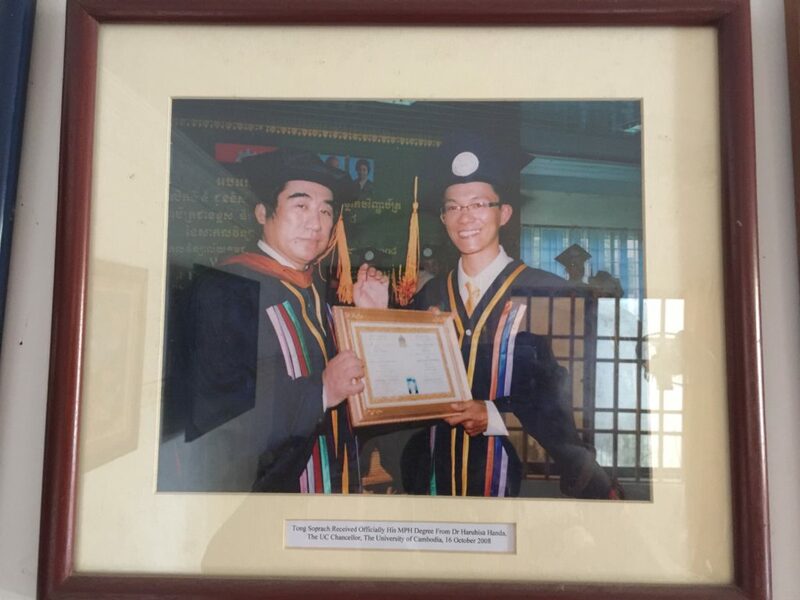 While, Soprach got the diploma in Upper Secondary School Teacher, National Institute of Education in 1998. 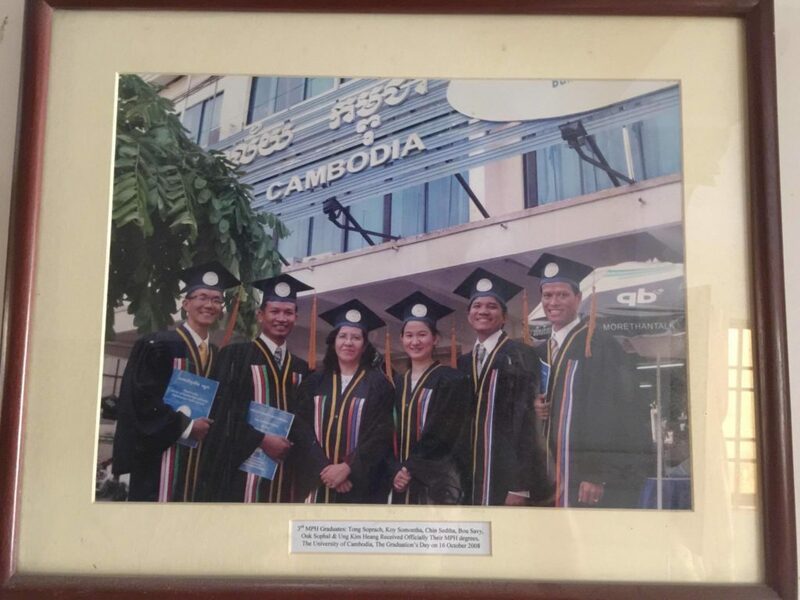 Mr Tong Soprach graduated the master degree in Public Health, major: Public Health of The University of Cambodia in 2008. At the moment, he is continuing another master degree in Business Administration, major: International Business, School of Business, The UC. 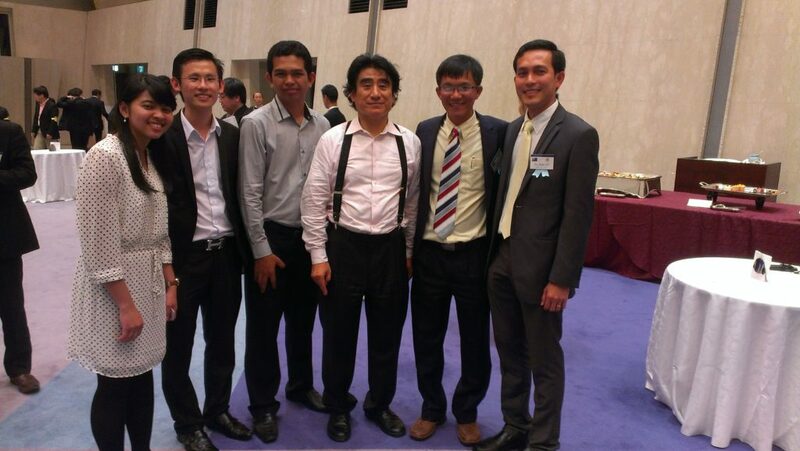 Tong Soprach enjoyed with his former MPH Classmates at UC Graduation Day Ceremony in 2008. 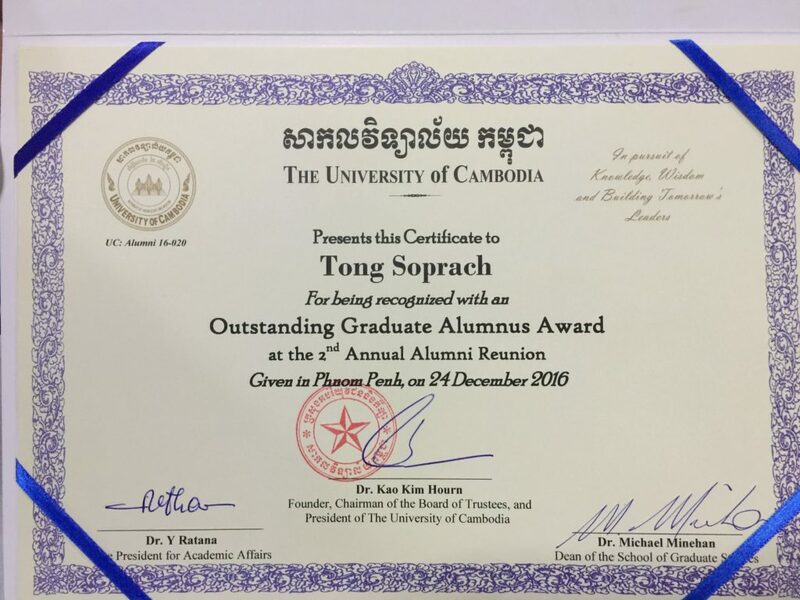 On December 24, 2016, Tong Soprach was selected by The UC Award Committee as an Outstanding Graduate Alumnus Award among 15 graduate awardees and other 15 undergraduate awardees at The 2nd Annual Alumni Reunion on December 24, 2016. On the other hands, this is the first time that The UC offered this award to the Outstanding Alumni since the university opened in 2003. Consultant: currently, he is providing a monitoring and evaluation consultancy service for SPIDERE Project of Stockholm University to support The InSTEDD iLab Southeast Asia through M&E Association as Research, M&E Managing Director. Involved National D&D Reforms: Recently Soprach has been working on the government policy on decentralization and deconcentration reform through the National Committee for Sub-national Democracy Development (NCDD). 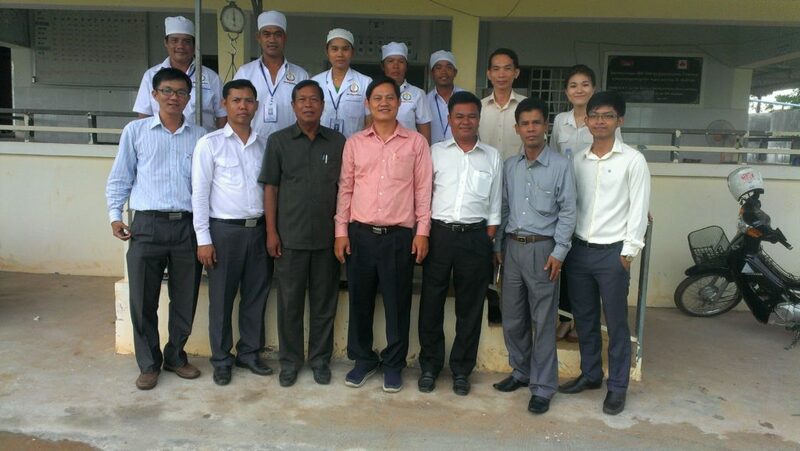 As LDDHS Health Functional Assignment Advisor, he was providing technical assistance to sub-national administration officers and district councils; especially, at the district level he was focused on reassigning public health functions from national to sub-national administrations. While doing this, he was also involved in formulations of national policy, strategy, guideline and Prokas. 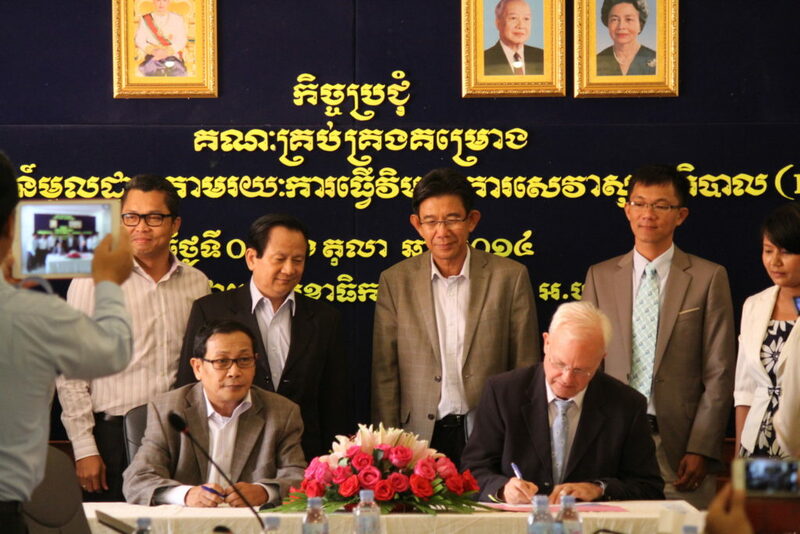 The pilot project of LDDHS was cooperated with NCDD/MOH/MEF and funded by DFAT/UNCDF from June 2014 – December 2015. 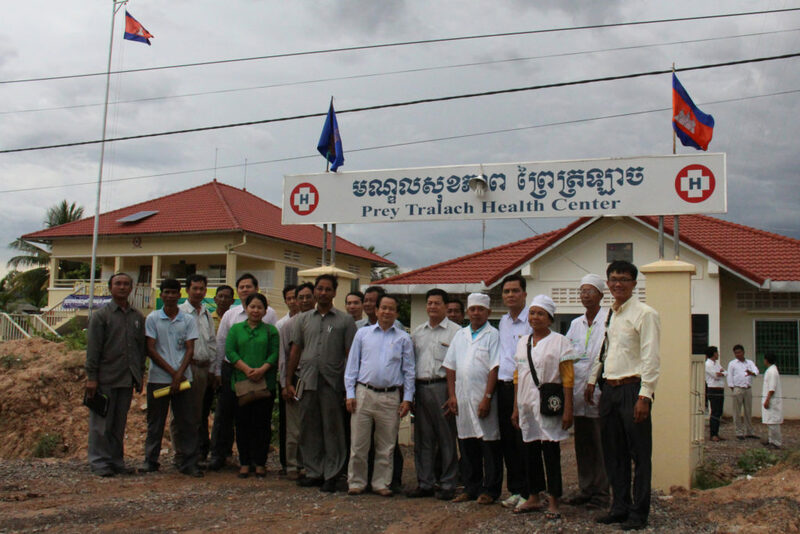 The project targeted only five district administrations: Kandieng, Bakan, Moung Ruessei, Koas Krala and Rukhak Kiri. 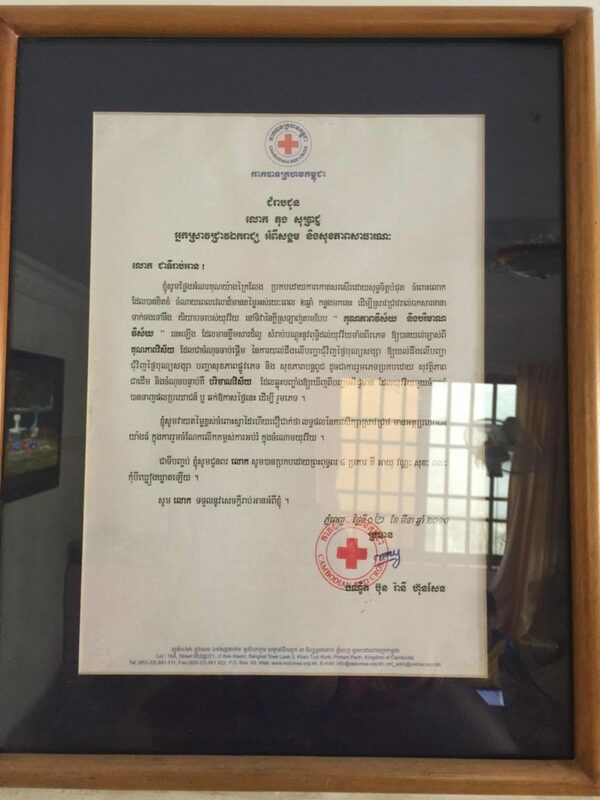 First Lady Bun Rany Hun Sen’s The Acknowledgement of an Important Report on Valentine’s Day was sent to Tong Soprach, March 2010. 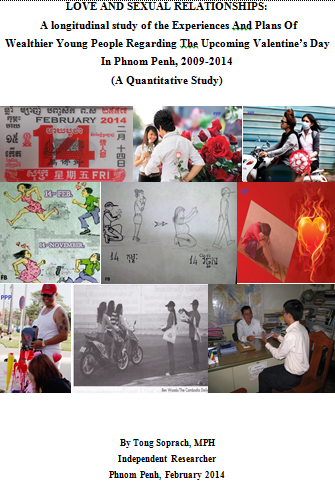 The cover page report on Love, Sexual Relationships among Young People on Valentine’s Day, 2009- 2014. 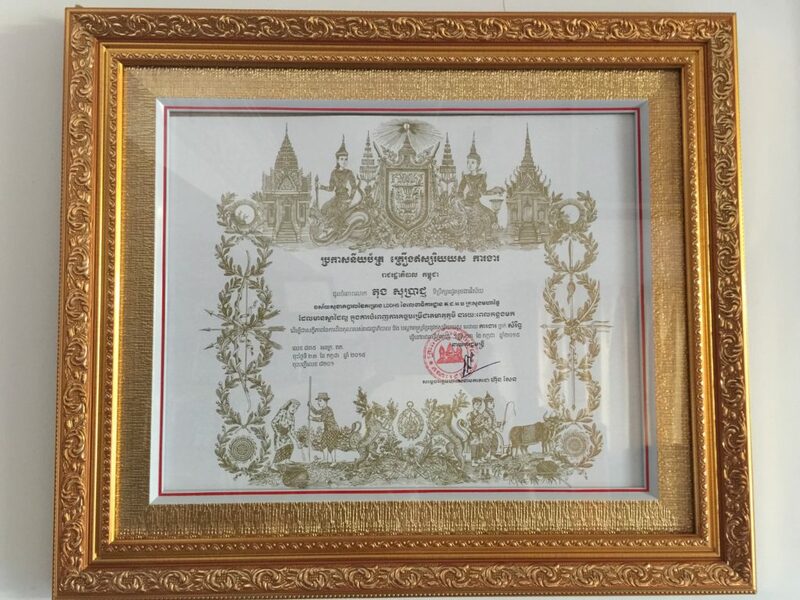 National Award: Tong Soprach received The National Brown Medial Award which was signed by Prime Minister Hun Sen in July 2015. The Honor Award expresses his great achievement on taking part in implementation of the Decentralization and Deconcentration Reform, NCDD-MOI as National Health Functional Assignment Advisor to LDDHS Project – Health Sector. 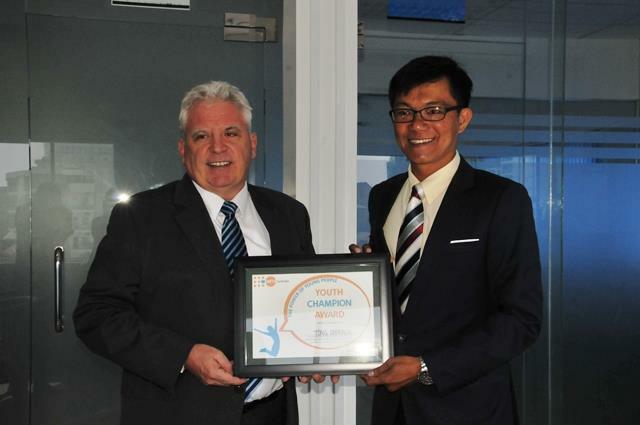 United Nations Award: Soprach also received The YOUTH CHAMPION AWARD: The Power of Young People on Sexual and Reproductive Health among Young People and Gender issue from UNFPA Cambodia, February 2016. 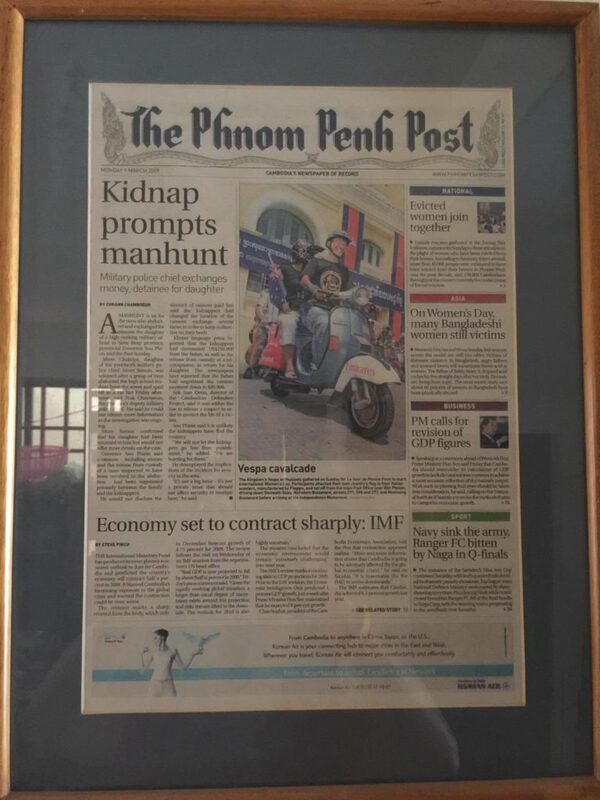 – UN Women Article: Beijing+20 in the eyes of the media, by Veronika Stepkova, UN Women/Cambodia, November 23, 2014 . 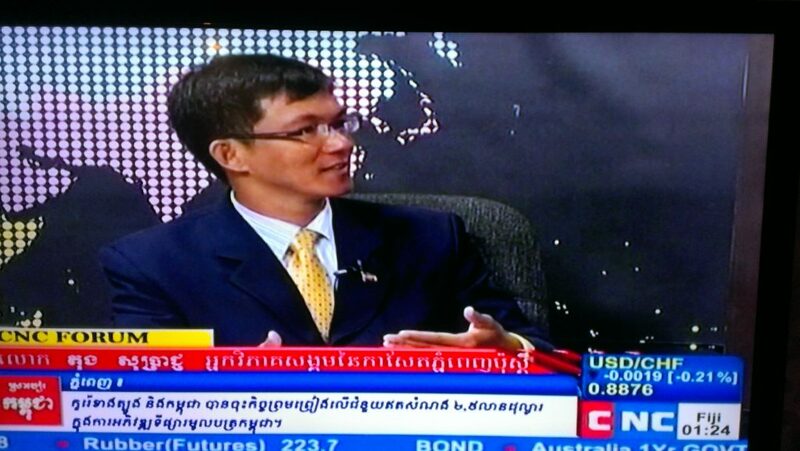 Soprach contributed on ASEAN Integration, 2015, BTV. 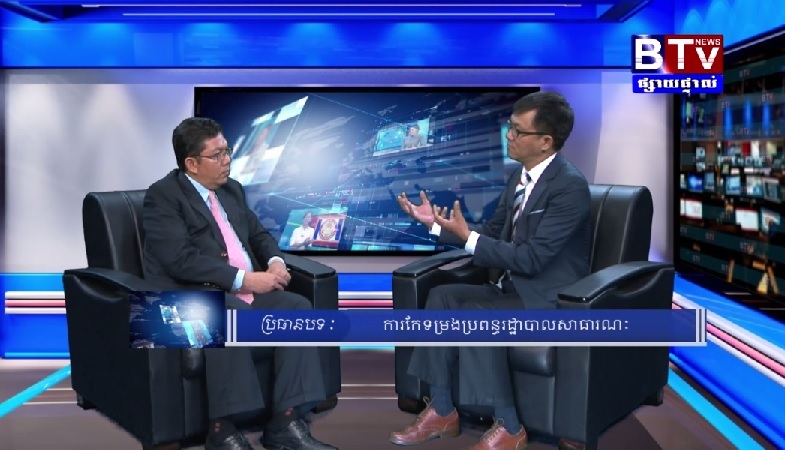 Tong Soprach was interviewed by Soy Sopheap on D&D Reform Process and its Update to BTV in September 2016. 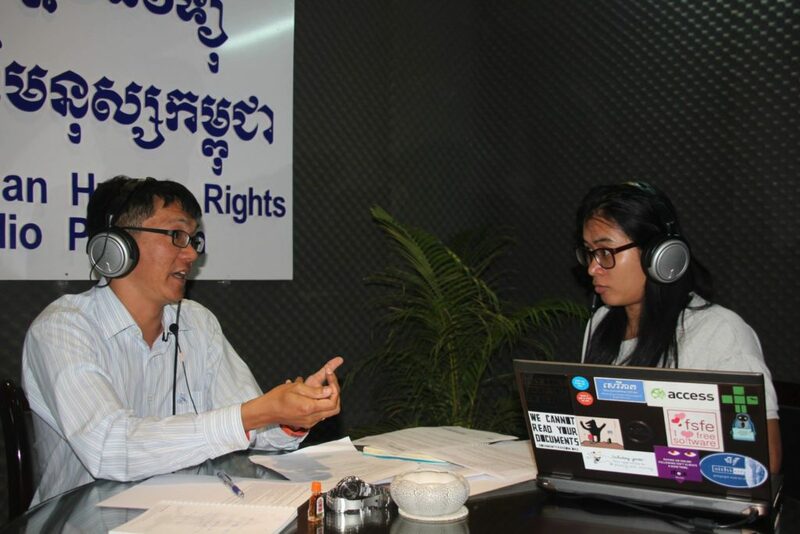 Soprach shared his perspectives on Harmonization in Cambodian Society in 2013, CNC. 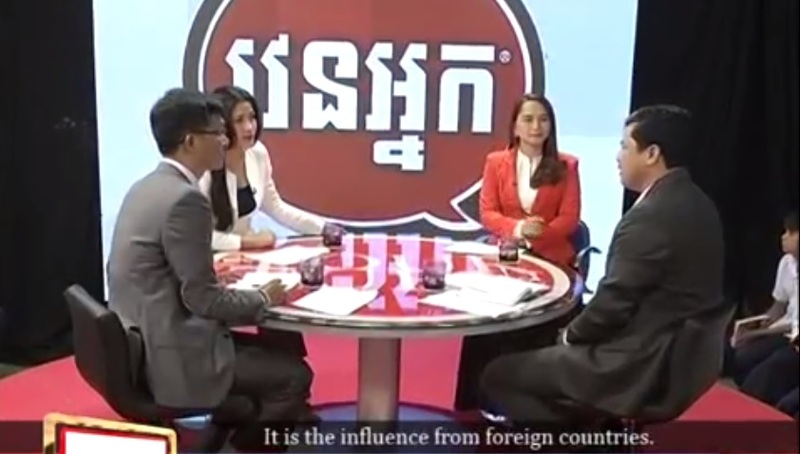 Soprach joined in the debate on Youth & Materialism Impact, YourTurn program, CTN, 2015. 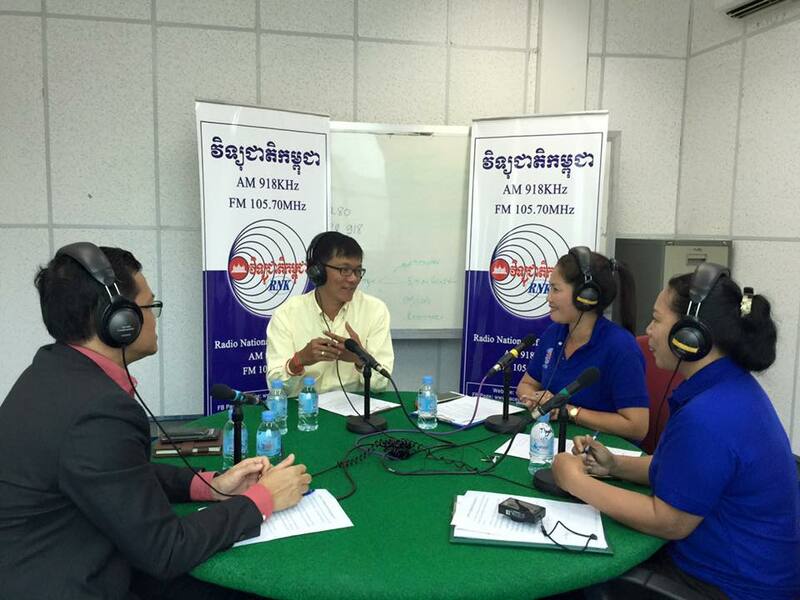 Soprach joined in Round Table on Youth on Valentine’s Day, February 2016, National Radio. Soprach was on live chart on Youth Sexual Relationships on Valentine’s Day, February 2014, RFI. Soprach shared his successful life and work. CCHR Radio, 2015. 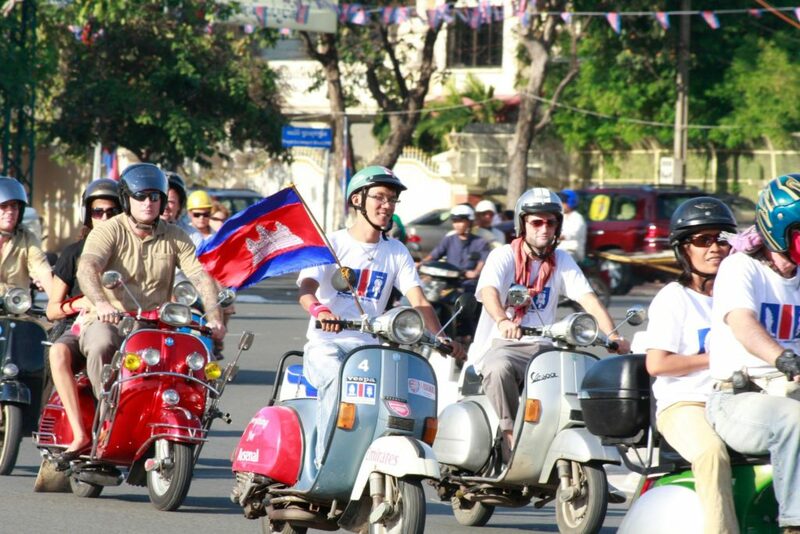 Road Safety Advocacy: He plays a leading role in Vespa rally in Phnom Penh to promote road safety, International Women’s Day celebrations, National Independence Day and New Year celebrations. Public Lecture: In 2011, He was selected to be an outstanding presenter on Critical Thinking by TEDx Phnom Penh at Zaman University. I am also continuing to provide lectures to universities, youth NGOs and youth community. 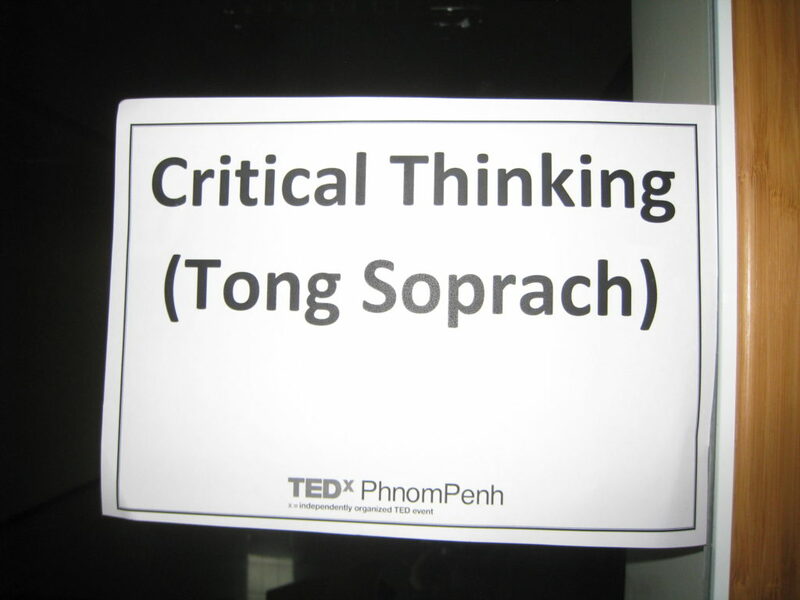 25-min Lecture on Critical Think, TEDx Phnom Penh, Zaman University, 2011. Soprach presented the Valentine’s Day findings to the publics at UC conference room, February 2009. by Rachael Brugger, UC Bulletin. Public Lecture Participant: He always spends his value time to attend the public lectures at universities, government institutions, NGOs findings workshop or independent academic researchers. The latest attendance, he Last week attended the Student Academic Leadership Conference at UC. 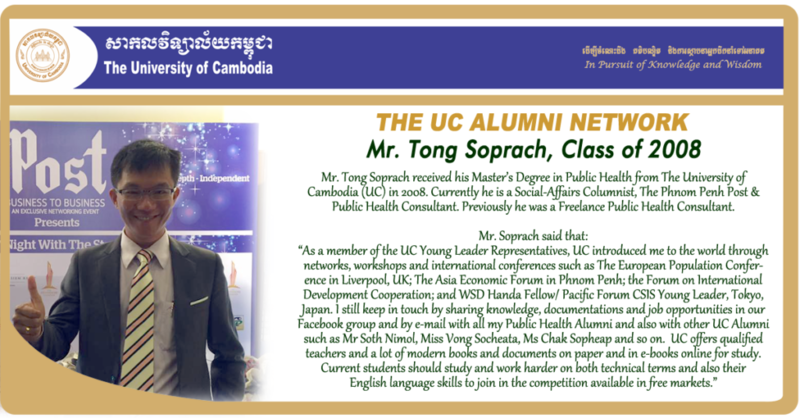 International Relationship: UC has been introducing Tong Soprach to the globe through networking, workshop and international conference such as The European Population Conference, Liverpool, UK in 2006. 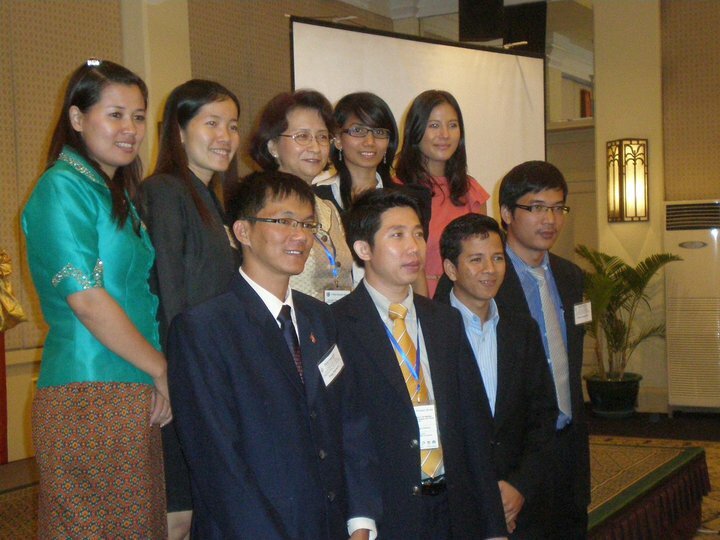 After that he was selected by the UC committee as one of the Outstanding Young Leader Representatives for The 7th Asia Economic Forum in 2011 in Phnom Penh; and by continuing with UC/CSIS Young Leaders Non-resident fellowship; in June 2015, he was invited to attend the Forum on International Development Cooperation, WSD Handa Fellow/ Pacific Forum CSIS Young Leaders, Tokyo, Japan. Recently, on behalf of UC/CSIS Young Leader, he recently attended the 4th Myanmar-US/UK Nonproliferation Dialogue, Naypyidaw, Myanmar, December 5-6, 2016. 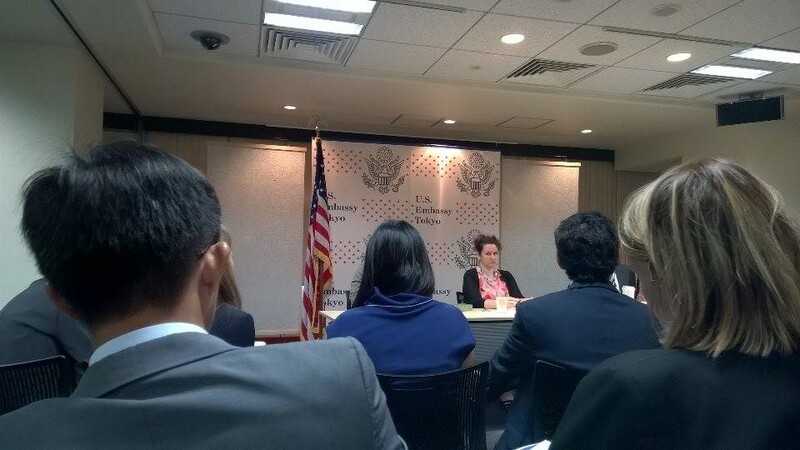 Soprach and other Young Leaders of the Pacific Forum CSIS at US Embassy in Tokyo, May 2015. 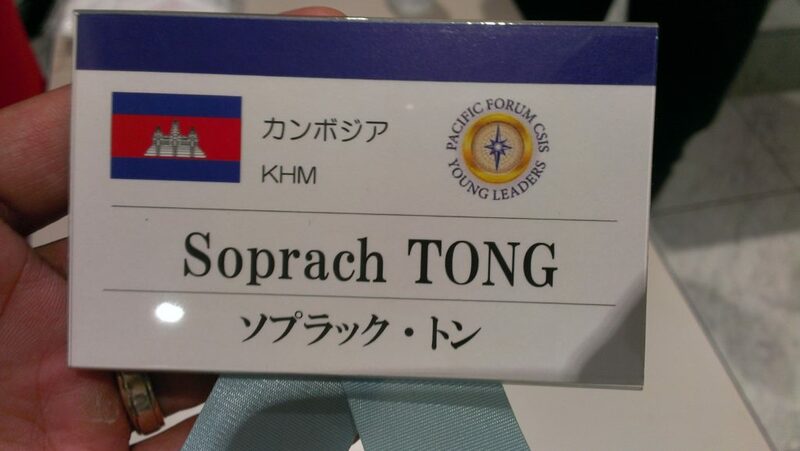 Soprach attend The Young Parliamentarians’ Global Opinion Summit, Tokyo, May 2015. Pacific Forum CSIS. 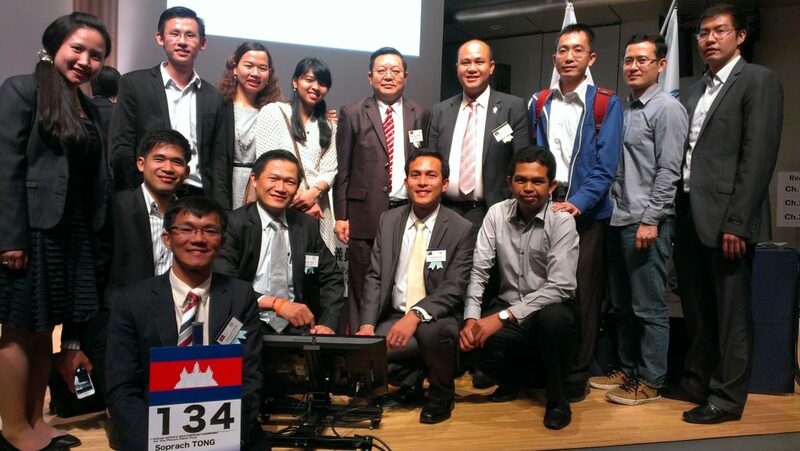 Cambodian delegations and Cambodian students who study in Japan, Tokyo, May 2015. 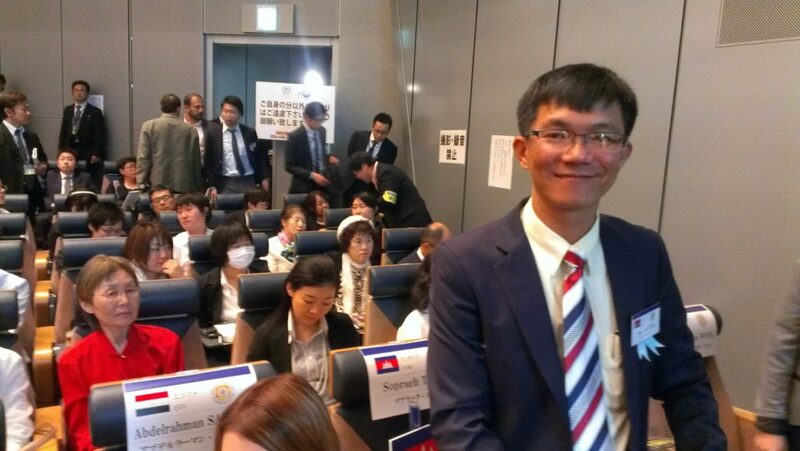 Soprach and CPP & CNRP Cambodian Young Parliamentarians in Tokyo, May 2015. – 4-5 December 2016: The 4th Myanmar-US/UK Nonproliferation Dialogue, CSIS Pacific Forum, Naypyidaw, Myanmar. 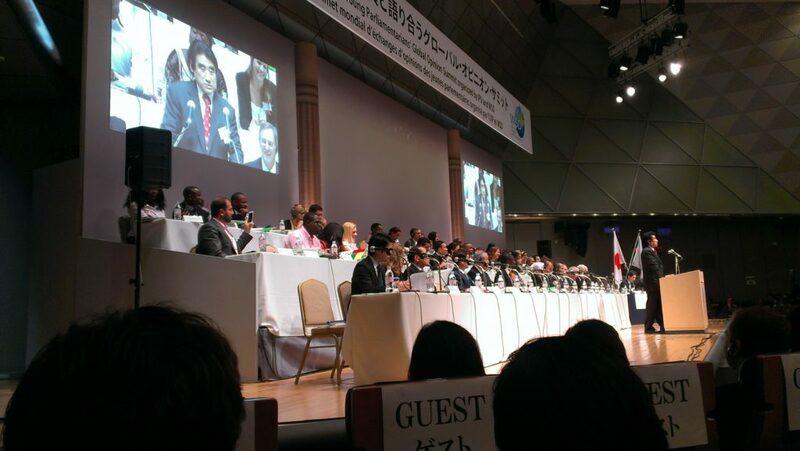 – 28-31 May 2015: Forum on International Development Cooperation, WSD/CSIS Young Leader, Tokyo. – 23-25 April 2015: Congress on Dangerous Dialogues/Courageous Conversation, MBB, Bucharest, Romania. – 18-21 Nov. 2014: Conference on the Beijing+20 of Gender Equality and Women’s Empowerment Review, Asia and the Pacific, UNWomen/UNFPA, Bangkok, Thailand. 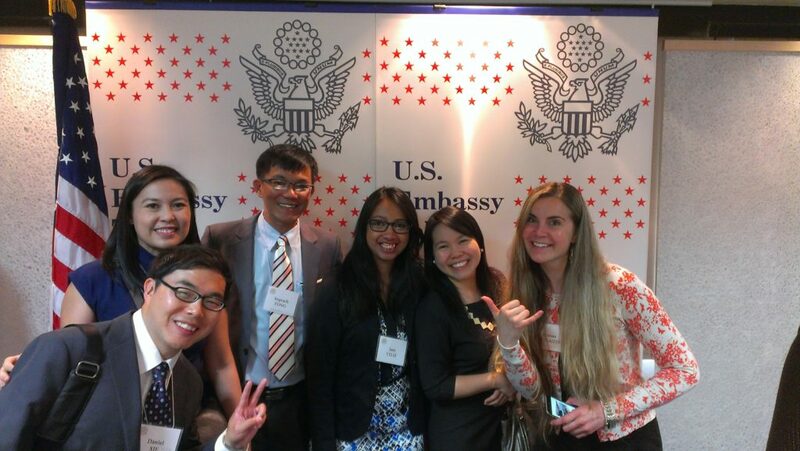 – 12 July – 2 Aug. 2014: Youth and Community Conflict Resolution, IVLP/US State Department, USA. 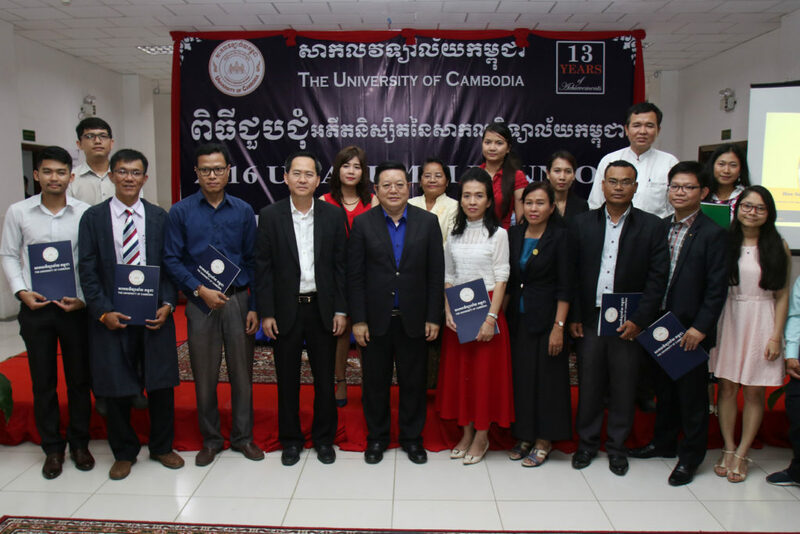 – 14-16 Sept. 2012: Cambodia Studies Conference, Northern Illinois University, Illinois, USA. – 14-17 Sep. 2010: Women’s Leadership and Training Summit, Vital Voices of the Asia, Delhi, India. – 9-11 March 2010: To End Violence Against Women, Vital Voice, Washington DC, USA. – 21-24 June 2006: The European Population Conference, Liverpool, UK. – 18-23 July 2005: The 25th International Population Conference: 11 years of ICPD, Tours, France. – During and after graduating with a Master’s Degree in Public Health. Soprach build network with classmates and schoolmates to share knowledge and experience each others and keep in touch until now. Moreover, Soprach feels more confidence at work and to explore creative ideas. 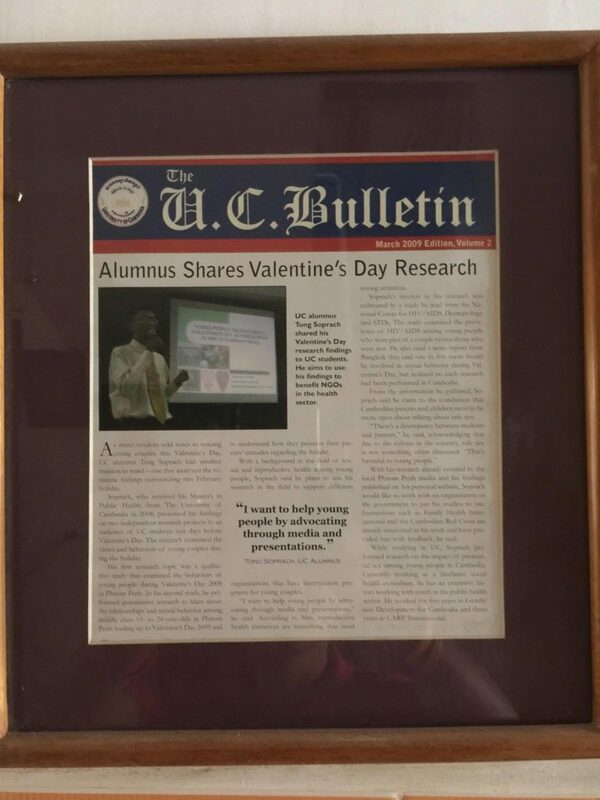 For example: “Study on Valentine’s Day” is from my own initiative which applied the lessons from UC. ‘- His career position is moving up to advisory group and top management and as Advisor/Manager. His English language skill also improved. – His salary had increased five times compared to before entering school.His jobs had encouraged him to continue to study more at UC, now he is studying International Business major at School of Business. After that he is planning to pursue a PhD in Political Science. – He is responsible to support my whole family. His two children are studying at International School. *However, the UC Award Committee required including his update CV to verify. 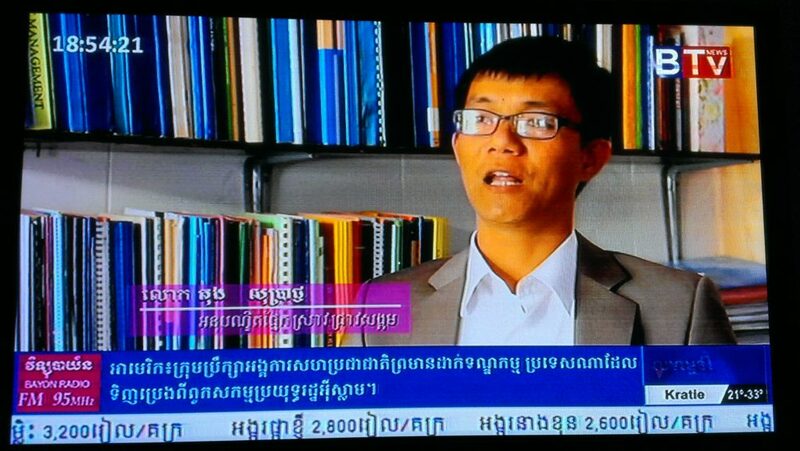 Therefore, Mr Tong Soprach deserved to receive this Outstanding Graduate Alumnus Award.